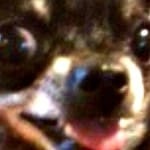 Lately in our Facebook group, I have been seeing quite a few posts where beloved Chihuahuas have passed away. I know it’s a part of life and something we all know will eventually happen, but it’s still so sad. All of us who have loved and lost a pet know the heartbreak it causes. When our beloved fur baby passes away, they take a little piece of our heart with them. One of the things most people want to know when they are hurting so badly, is when will it get better? Everyone heals at a different rate. And it won’t happen all at once. You will notice as time goes on, that the hurt lessens with time and there will come a time when you can think about your fur kid and not cry but smile at the wonderful memories you had with them. But do realize, it never goes away completely. It is important that you work through your feelings. Don’t try to stuff them down and hide them. You need time to process your grief. You are going to feel a deep sense of sorrow and loss. There is just no getting around that. Your dog was a big part of your life, and now they aren’t there. You may start crying uncontrollably when you come across one of your dog’s toys or see their leash hanging on the hook. All this is normal. Just let it happen. One of the things that is hard about grieving for an animal is that often times, people won’t understand. They will think, and sometimes even say to you, “It was only a dog”. They would never think of being that callous if you lost a human family member. They just don’t understand the depth of your love or your grief for your dog. 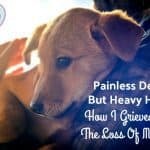 If your dog hasn’t passed yet but you know that day is coming soon and are wondering about Euthanasia, here are some things to consider. Please know it’s normal to feel guilty about this and feel like you are “killing” your dog. But you would feel guilty either way. I let one of my dogs go way too long because I couldn’t bear the thought of losing him and I still feel guilty about that. He wasn’t in any pain, but all quality of life was gone. Do what is best for your dog, not what’s best for you. This is the time you need to be strong for them and love them enough to let them go when it’s time. Please stay with your dog during the procedure if you can. I have a friend who is a vet tech and she says it breaks her heart for the animals when their families leave them during the process. The pet, who is already afraid and may be in pain, will feel like you abandoned him if you leave him to die without you. This is another time when you need to be strong for your dog and do what’s best for him or her. You have the option for your Veterinarian to dispose of the body. They usually will charge a fee for this. You can bury your dog in your own backyard. Just be sure you go deep and be careful not dig near any utility lines in your yard. You can bury your dog in a pet cemetery. This is the most expensive option but it’s a nice way to honor them. You can have your pet cremated. There are lots of nice urns available . 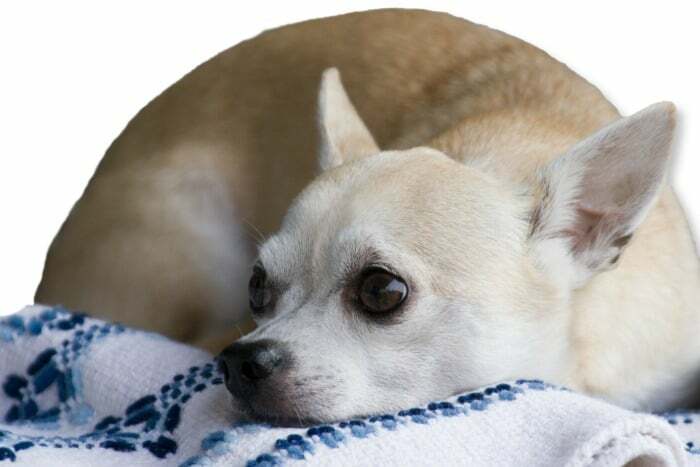 Your other pets may or may not show signs of confusion or grief when your pet passes. When my last dog died, he died at home and I let the other dogs come and see his body so they would know he had passed and not wonder why he wouldn’t be there anymore. Of course, this isn’t always possible to do. Your other pets may grieve for their lost companion or they may not. However they will notice that you are grieving and that may cause them stress. So either way, give them some extra cuddle time. It will be good for them and for you too. Do not say that you “put your dog to sleep” if the child is young. This may cause some sleep issues in the child. Remember, kids take everything literally. 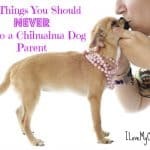 In the same vein, do not tell your child that your dog “went away.” This will just leave the thought in the child’s mind that the dog may come back. They need to understand that their dog is not coming back. Depending on your belief system, you can tell them your pet is in heaven, and is no longer in pain. Let them grieve too. They will probably need some time to deal with their own grief. Be there for them and let them grieve the way they need to. Don’t stop them from crying if that’s what they want to do. 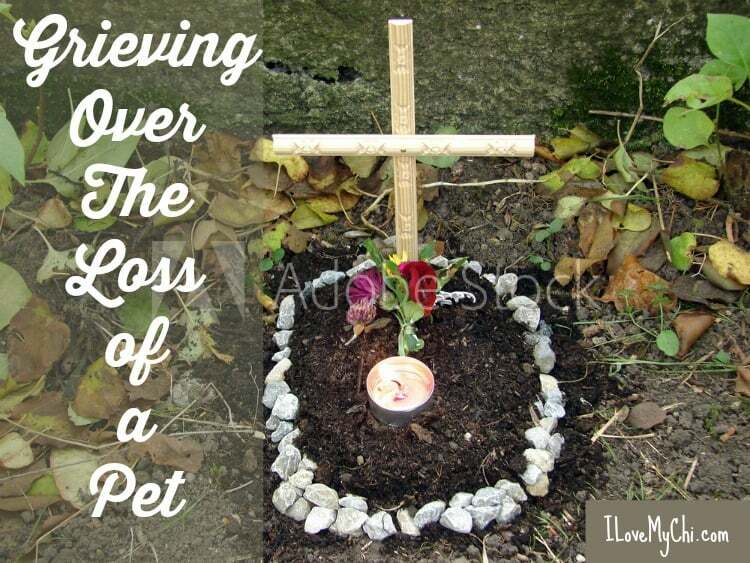 Encourage them to do something in remembrance of your pet. When my beloved Cocker Spaniel died when I was a kid, I made a little book about him, complete with illustrations. It really helped me. You child may want to do something like that, or maybe have a little memorial service for your dog, or do a craft project related to your dog (a painting, clay art, etc.). Check your library, local book store or Amazon for books for kids about losing a pet. Some people want to get a new pet right away, but in my opinion, it’s best to wait a bit. By getting a new pet, you are not giving yourself a chance to adequately grieve for the old pet. You need to give yourself at least a month or two. I know this from personal experience. 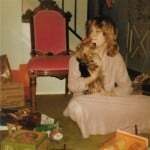 When I was in my mid twenties, my 2 beloved Yorkies Ernie and Chassie died in a tragic accident. The grief and guilt I felt was almost too much to bear. In an attempt to help me get over it, my parents bought me a new Yorkshire Terrier puppy named Wendy. I loved Wendy, but I was never quite able to bond to her like I had with Ernie and Chassie. I think it was because I hadn’t been able to work through my grief over them. One of the things I have done to remember a pet that has passed was to get together a bunch of photos of him and make a poster sized framed collage. You can also donate to a rescue or shelter in remembrance of your dog, get a garden stone with their name on it, or get a special ornament to remember them. You will get through this. Many of us already have. 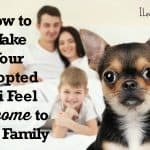 Have you lost a fur child? How did you handle going through it? Or are you dealing with a new loss of a loved one right now? Feel free to tell us about your pet in the comments. I’m so sorry Carol! I know how hard it is for you and your other Chi. Hold each other close and hang in there. I am so sorry for your loss Carol. I know exactly how you feel from my own experience. God bless our babies and hopefully we will be with them again. IMy fur baby died in March while having an op ,it has broken my heart . I’m so sorry Suzanne that you are having such a hard time of it. I know how much you loved your little one. Would you ever consider getting another? I, too just had to make the hardest decision ever. Having to euthanize my chi, Woody Wu. He had diabetes. I have2 other dogs that r grieving too. Especially my German Shepherd who is 8 yo and was his best buddy. My Coco passed almost 3 years ago.. My little girl was with me day and night. She slept on my pillow next to my neck, so, you know I miss her so much.. I had her cremated, and she will be buried with me when I pass away.That is my request.. There is not a day that I don’t think of her, and miss her..
I’m sorry for your loss Shirley. Coco sounds like she was a special little girl! I am sorry for your loss Shirley. I also have my Jessie’s ashes and just like you, I have requested that she goes with me when I pass away. My adored Jessie! Still miss her and cry each and every day. Never forgotten and forever in my heart. 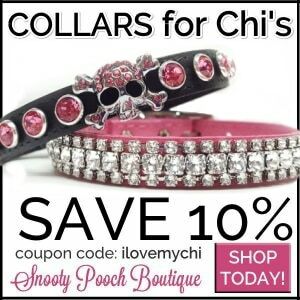 What a precious little Chi Sylvia! Her eyes are so soulful. I’m so sorry you lost your Jessie. Thank you so much for your comment Kilosmom! And, yes, she’d speak to me with her eyes. Even though I am with Itty Bitty now, who has been a blessing to me, i still remember and miss Jessie every single day. Thank you again for your understanding and support! Grieving over the loss of a pet is hard. 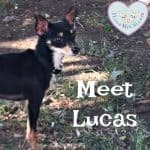 I lost 3 fur babies within 2 weeks of each other. They were 15, 17 and 18 years old. They weren’t “like family”, they WERE family. They were my kids. I loved them as much as I love a human. I didn’t think the pain could ever go away. But I agree with the author of this post- with time the pain does lessen. I don’t burst into tears now when I see a picture of them… or an old toy… or their collars. I smile at their memory. They passed away 2 years ago. I can say it took a full year for the sting to go away. Yes, I still miss them. I always will because I love them. To honor their memory, I planted a perennial flower garden. I smile each spring when the new plants emerge from the ground, and I think of my sweet pups. We got a new puppy about a year before our 3 girls passed away. I was worried that the new puppy would stress the other girls out. But, as it turns out, they welcomed her into the family with love. Our black lab was like a mother to her… always protecting her from the other 2… and even leaving a few morsels of food in her dish for the puppy. When the 3 older dogs got sick, the puppy knew. She would bring their favorite toys over to them. When they would just lay there and not play she would just lay down beside them. It was heartwarming. I regretted never getting a nice photo of the 4 dogs together. So this year I surprised my husband with a special Christmas gift. I had an artist do a slate painting of the 4 dogs together. She did an incredible job. I love the painting because when I would look at pictures of my dogs, I would always associate the picture with the place where I was when it was taken. With the painting, the background is neutral- and the dogs are ageless. So when I look at the painting, I just remember my girls as they were for the majority of their lives– sweet, loving and playful. Oh wow Stephanie! That has to be really hard to lose the 3 of them so close together. I’m so sorry. I love your idea of the painting though. I bet your husband loved it. I am sorry for your loss, Stephanie. That has to have been extremely hard. My loss is more recent, and I am of course still in the grieving process. I know time will help. Glad you had the picture painted and I know you will treasure it like you did your babies. I lost my 5 yrs old Chico tragically 8 yrs ago. I was a basket case. I literally just stayed in bed crying. (Tearing up now). He was my 1st dog and when he died it was like my baby. But eventually I opened my heart back up and have 3 wonderful loves. 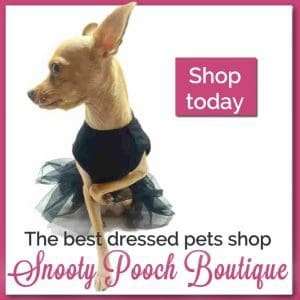 Even though we know eventually this is a reality anytime we have a pet, it is still difficult. I think it’s harder too when it happens suddenly in a tragic accident. I’m glad you have 3 new little fur babies Diana. Tammy was beautiful Sharon. I’m so sorry you lost that sweet little fur girl. I have heard so many stories of them coming back after they have passed, I do believe sometimes they do. I wish a few of mine would visit me. That has to feel comforting. I lost my husband on June 6th, and then lost my little boy Keltie 5 weeks later. Talk about a double kick in the pants. I have my good days and my bad days, and I’m sure that will continue for a good while. Keltie was 15, and his organs were all failing so I had to have him euthanized. Although it was a tough decision and I have second-guessed myself, I really do feel that it was time. After watching my husband slowly wither and die (he had cancer) over months, I just couldn’t let that happen to Keltie too. My husband did not want to die at home, and he ended up being in a Hospice facility when he passed. Keltie died at the vet’s office with me and my daughter both holding him and loving him during the procedure. Then we continued to hold him for about 1/2 hour. My vet has a separate room set up where that procedure is done and you can stay in there with your furbaby as long as you want. It’s been a difficult 6 months, but like I said – I have good days and bad days. Fortunately, more of them are good. My other chi Kissy Girl has had some separation anxiety since I lost my husband and Keltie, so 4 months after losing Keltie I adopted another furbaby who I named Duchess. Duchess is a sweetheart, and although all of Kissy’s anxiety hasn’t disappeared I do think she’s doing better having a companion. Sometimes when I get the blues and start crying, I see Duchess looking at me like she just doesn’t understand but wants to comfort me anyway. Of course she doesn’t understand – she never met either my husband or Keltie! But she still wants to comfort me. I had both my husband and Keltie cremated, and their ashes are side by side in my bedroom. The company that handled Keltie’s cremation also took Keltie’s foot and made me a plaster ornament with his footprint in it and his name under the footprint. The little wooden box is very nice, and they also included a sprig of rosemary for remembrance. That is a lot to deal with so close together June. I think you are doing very well considering. I’m glad you have your girls to give you comfort. I am sorry for your loss, Suzanne. I lost my little boy in July, and it still hurts. I guess it always will. I am fortunate that I had another little dog to comfort me and help me through my loss. I just take one day at a time; that’s all any of us can do. I pray you find peace. So sorry you lost your little fur boy too June. I’ve been wondering how you were doing Suzanne. I’m so sorry you are having to go through this. I lost my mini pom Barklee yesterday. He was having bladder stone surgery and he did good but during recovery he passed away. I feel so guilty that I wasn’t there to comfort him. I cried so much my eyes are puffy. He was my first dog and I treating him as a baby. Coming home is so lonely not hearo my him bark and howl at me. My other dog is so sad sleeping in Barklee’s bed. I cannot get myself to take his bed out. It’s hard. I’m so sorry Amber. I know how hard it is to lose a fur baby. Barklee was probably still unconscious while in recovery when he passed so he didn’t know you were not there. You sound like you are a good mom to your pups and take very good care of them so they know they are loved. Take your time in getting rid of his bed and if you other dog wants to sleep in it, keep it for him. It may comfort him to do that. 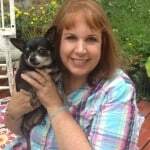 I lost my Chi Chi last year on 12/30/16. She would have been 15 yrs old Feb. 2nd. not a day goes by that I don’t think of her and cry she used to sleep next to my head by my pillow. That year was supposed to be our first Christmas and New Years in our new home and we were looking forward to a very nice Holiday but it turned out to be awful she got sick with pancreatitis and then we got the call to bring her back she had diabetes and had to get her on treatment. Needless to say her little body shut down she wouldn’t eat or drink anything and we finally had to put her down. She was bleeding internally from the meds because she refused to eat anything. I feel like I killed her if I would have just changed her diet and stopped at the meds from her pancreatitis I feel like she would still be here. She had gotten better with just those meds she no longer was pee peeing everywhere and was eating and playing. My Chi Chi’ s brother Pepe was also grieving for her looking all over for her so we went to find a new puppy for him so he wouldn’t be lonely . My husband and I had her cremated and our request is to take our Pets with us also when we pass. I don’t think I’ll ever get over my girl she took a piece of my heart with her!! Chi Chi looks like a happy sweet little girl. You can’t blame yourself for her death Simone. You aren’t a doctor and you did what you thought was best for her with the information you had at the time. I just lost my boy last week. It kills me to the core. I had him almost 17 yrs and I miss him terribly. He was with me through my depression, the worst time of my life. He licked my tears, cuddled closer and gave me love in abundance. I’m lost without him. I had to make a decision that I knew wasn’t the best for me but my baby needed rest. It was the hardest thing I’ve ever had to do. His whole family was present. Mom,dad and 2 sisters. We all miss him. I’m having to get counseling because I don’t know how to function. I feel guilty when I eat because I would let him have a taste of what I would eat. I have another fur baby that misses his brother. I can see it’s hurting him too. I know our babies don’t live forever but I don’t think anything could have prepared me for this. I miss my baby. I’m sad. I’m broken. I love you Peanut, my loyal baby. I’m so sorry Viviana. I can tell you are hurting a lot. You did the most selfless thing you could for Peanut and I know he wouldn’t want you to be hurting so much for him. He will be forever in your heart. I have dealt with a lot of death in my life. Close family members and friends, including my dad to cancer when I was 14. None of it prepared me for losing my fur baby a few days ago. I have never felt grief such as this. It is a whole body and mind encompassing grief. And the guilt. My mind stumbles over the last year of her being sick (enlarged heart and a lung issue) and ends on her last few hours. Did I do enough? Did I do something wrong? She was happy and healthy in every other way until the end. I knew it was coming but it happened so fast. I know I should be thankful for that. That it came on strong and in a matter of hours she was gone. The final traumatic moments probably lasted minutes but it felt like hours. I walk around my house looking at all her spots. She was my shadow for 10 years. Comforting me through my health issues and chronic pain. She slept next to my hubby and I, in the middle. Got tastes of almost everything we ate. Went bye-bye everywhere. She was my baby. The other deaths have tought me that I will survive. But this hurts so much. So deeply. There are no words. I love you Chica and I always will. My pretty baby. I am so sorry Tiffany. Chica was such a beautiful little dog and I know she had a good life with you. You have nothing to feel guilty over. You aren’t God and there’s only so much you can do. I don’t envy you right now. I know how much it hurts and how hard it is to go through. My thoughts are with you. Thank you. Today I am glad I stumbled upon this. To know I am not alone in this grief is helpful. I’m glad you found us too Tiffany. You definitely are not alone and we all understand what you are going through. Chica was not just a dog. She was your fur kid. Words cannot describe the amount of sorrow I felt reading what you wrote. Chica was my sister. It might sound bad to say, but she was closer to me than either of my siblings. I miss her daily and I think about her even more now. I had a feeling it would be the last time that I held her when I left to move to Georgia. And I cried. I felt guilty for crying about the dog but not worrying about anyone else…When I was visiting Georgia in January I broke down about Chica to Daulton, and that I’d have to lose my horse too. I did everything in my power to get even closer to her and spend the most amount of time I could before I left, like taking her to Ace Hardware because she wanted to go bye-bye with me. She never wanted to go anywhere with anyone but you, so I felt I needed to take her if she wanted to. She followed me around and laid with me a lot more than she used to. I enjoyed it a lot and it made me feel very loved. I tried to do all I could to help you guys figure out what was wrong. Sometimes there’s nothing you can do but make them live a happy and comfortable life for whatever time they have left. Loss is a part of life and you can do everything in your power to prepare yourself for it, but it doesn’t help. Chica Marie was different than any other dog I’ve had. She was a little person and was unexplainably special to me. She still is. I love you Mom. Chica sounds like she was a very special little dog. I’m just seeing this sweetheart. I love you so much. Thank you for this. I miss her furry face daily. She was special that’s for sure. Never had or met a dog like her before. She really thought she was a human! Love, Mom. Some dogs do seem more human than dog, don’t they? Oh yes. Both my husband and I have been around dogs our whole lives. His parents currently have 4. Neither one of us had encountered a dog like her before. Right from the get go she seemed to understand more. Words and actions. My hubby and I truly believe she was a gift from above. Precious. I had to have my little Maggie put down Wednesday morning. She was with me for 15 years plus my wife do 33 years divorced me about a year ago. Maggie was about to suffocate due to heart and respiratory issues. I stayed with her when the er vet euthanized her. It’s hard to unsee since it was. 3 days ago. I feel hollow inside, but I couldn’t leave her when she was so scaired. Gary you are very brave and loving to stay with Maggie when she needed you the most. You have had several traumatic losses lately so take it easy on yourself. It takes time for things to get better. It will help if you get some help, someone to talk to like a grief loss group or a counselor.